Some critics have already asked how many people would be interested in the autobiography of a former AA RoadWatch presenter – but the proof that there’s some scandal worth reading in this recent book was the venomous reaction by TV3. Having left the station’s Xposé programme in circumstances which were strained, to say the least, Keane seems determined to have the last laugh. Let the Irish Mammy be the judge of that, says I. The paragon of Christmas cooks, Delia Smith has celebrated her ruby anniversary of cookbook-writing with this wonderful new publication. 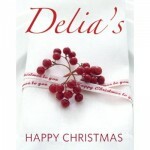 Delia’s Classic Christmas Cake recipe has been in print for over 40 years and I am told it has never been bettered, but the wonderchef has also created Chestnut Cupcakes recipe to satisfy modern tastes. She also includes a supposedly foolproof recipe for a Traditional Roast Turkey and all the trimmings, as well as that staple of Stephen’s Day –what to do with leftovers. What the lads mightn’t know about Smith is that she took a five-year career break in 2003 to concentrate on Norwich Football Club, where she remains a director – so you can take comfort from the impeccable credentials of your recipe-giver! “Men might as well project a voyage to the Moon as attempt to employ steam navigation against the stormy North Atlantic Ocean.” This questionable quote by Dionysius Lardner, 19th Century Irish scientific writer and lecturer, opens this epic book which seeks to chronicle the “pond” from just about every angle imaginable. Drawing on more biography than one might think possible in a book which is essentially geographic in nature, Winchester manages to make his subject engaging and genuinely exciting, for anyone with an interest in either (or, preferably, both!) history and storytelling. From the arts to politics to geology to war, there is little in the history of our western aquatic neighbour which is missed. Hopefully dads all over Cork will agree. This book is the latest in the fantastic series by the Wexfordian author. While he might have been playing with fire in his recent attempt to write a new book for the “Hitchhiker’s Guide to the Galaxy” franchise, he certainly is more than at home when fleshing out the fairy-inhabited world of his teenaged genius, Artemis Fowl. An intelligent, mischievous and, above all, bloody well-written addition to a series which has yet to disappoint. Adrenalin junkies are always a hard group to buy a book for, since they won’t sit still long enough to unwrap it, let alone read it. That’s why this true story, newly-published by the author of Seabiscuit, might just fit the bill. Hillenbrand unfurls the story of Louie Zamperini – a juvenile delinquent, turned-Olympic runner, turned-Army hero. After a crash into the Pacific, the three years of his life that followed became a tale which is almost too catastrophic to believe. Having talked to the man himself, and taken more than seven years painstakingly fact-checking and doing background work, Hillenbrand has served up a treat for any would-be Castaway. 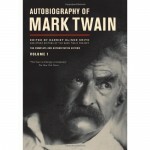 Mark Twain is his own greatest character in this brilliant self-portrait, the first of three volumes. 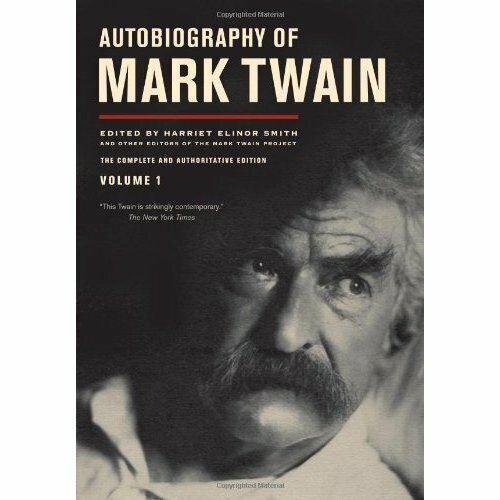 It is published complete for the first time, now, a century after his death – Twain wanted his more honest (read: scalding) opinions kept under wraps until anyone affected by them was only a memory. Twain meanders from observation to anecdote and between past and present. There are Tom Sawyeresque reminisces; acid-etched profiles of friends and enemies, and umpteen tales of the author’s own foibles, including his slide(s) into bankruptcy. Twain’s memoirs are a masterpiece from which his vision of America–half paradise, half swindle–emerges with indelible force.